This is a test cylinder we used to verify if the instructions contained within Lycoming S.I. 1418 would actually work and how well. This cylinder had been sitting in our shop on a shelf for about four years after being removed due to a crack that was non-repairable. Notice the buildup. After cleaning the combustion chamber of this cylinder as per Lycoming S.I. 1418 there was a very noticeable difference. The carbon buildup from the combustion and the head of the piston was almost completely removed. It seemed to us that about 98% of the carbon buildup was removed from the combustion chamber and face of the piston. This service bulletin is great! It involves cleaning the cylinders with ground up walnut shells. Why walnut shells? Walnut shells are non marring, will not damage cylinder walls, pistons or piston rings. Best of all, any residue from the walnut shells that may be left in the combustion chamber gets burned up and spit out the exhaust the first time the engine is fired up after cleaning. Why should you have this service bulletin be performed on your engine? 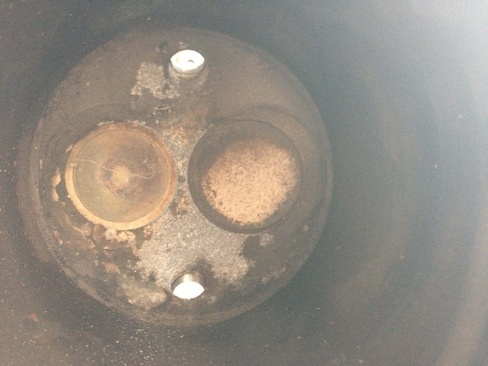 Over time your combustion chamber builds up with carbon. So much carbon that if you where to bore scope your cylinders you would see what looks like adobe brick mud on your piston face and combustion chamber walls. This build up is bad and robs your engine of power and performance. It can lead to pre-ignition, detonation and higher CHT's. 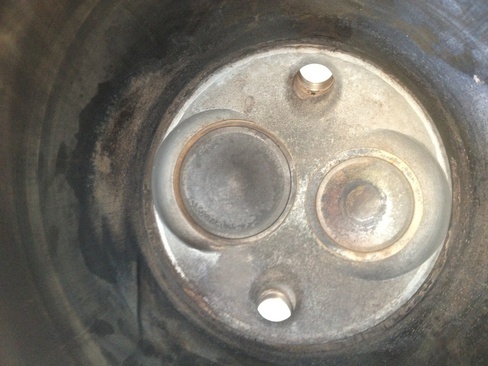 This buildup also reduces the volume of your combustion chamber which can be very bad. Reducing the volume of your combustion chamber increases the compression and not in a good way. This can lead to a catastrophic failure. We performed this S.I. on a PA-28-140. The owner of this aircraft designs F-15 flight simulator software for the U.S. Navy. After the service bulletin was performed on his aircraft he reported these results back to us. "Increase in speed of 3 to 4 mph (4.5 to 6 kts), 50 ft/min increase in the rate of climb." It was also reported from the pilot that his engine "ran a lot smoother than it had before the combustion chamber was cleaned. How much will it save you in the long run to have this service bulleting performed?